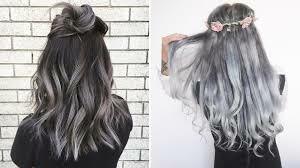 If there’s one hairstyle that doesn’t seem to be going out of style anytime soon, since it’s been in style for years already, its ombre hair. The coloring technique has been a celebrity choice for years now, as it leaves hair looking naturally textured with the perfect amount of depth and color. The style can be used to add different tones to hair or make colored hair more exciting, whether you’re lightening the ends of a deep brown or fading from pink to purple. Instead of waiting for your hair color to naturally fade, you can achieve a beautiful ombre either on your own or by consulting a stylist. Stylists and colorists have debated for years on how to get the perfect ombre look we all secretly fawn over on Instagram, but until now there hasn’t been a technique so simple; your hair brush. That’s right. Your hair brush. Stylists have tried every technique possible to achieve the perfect ombre look, but it turns out we’ve all been making it harder than it needs to be. The technique involves using a regular paddle brush to brush the color into your ends and slowly make your way up your hair, ending at the desired length of ombre color. 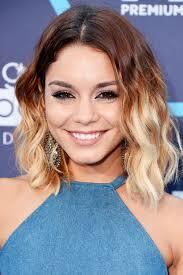 To achieve a more in-depth look, try going further up your hair in some areas and not in others. Make sure to brush the color in so that it naturally fades, but only brush from the neck down in order to achieve an ombre look instead of simply brushing hair-color into your hair. Though this idea is perfect for those looking to achieve a simple, DIY-friendly way to ombre their hair, some stylists caution against the strategy as it may end up worse than if you did it by hand. This technique is perfect for softer ombre looks, such as a deep brown into a caramel fade, but may not be the best idea for drastic changes in color or multi-tone ombre looks, such as this one that Kylie Jenner rocked at Coachella in 2016. 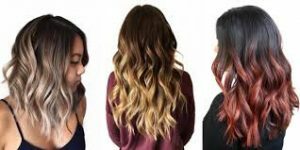 Because the perfect ombre look can be a little bit difficult to attain, you’re probably going to want to book an appointment with a good colorist in order to make sure you’ll achieve the perfect fade. Make sure you’re going to get the perfect fall ombre by booking an appointment with one of the many colorists available at any Aaron Emanuel locations throughout New York City.